It’s officially Summer in Texas…which means grilling pretty much all the time. However, I live in a condo complex that doesn’t allow us to use outdoor grills on our patios. My solution to this particular dilemma is to enjoy grilled meats, veggies, and burgers using Hamilton Beach’s convenient and compact Indoor Searing Grill! This handy grill allows me to enjoy outdoor grilled flavor anytime – regardless of the weather outside. There are two secrets to this handy little grill’s fantastic grilling capability. First, the Searing Grill’s high-heat searing temperature locks in juices and flavor – which gives meats better taste, texture, and appearance. Second, this grill’s unique hooded design helps keep in flavor to give your food an authentic outdoor grilled taste. May is National Salad Month, so I used the Hamilton Beach Indoor Searing Grill to create my South of the Border Grilled Chicken Cobb Salad. 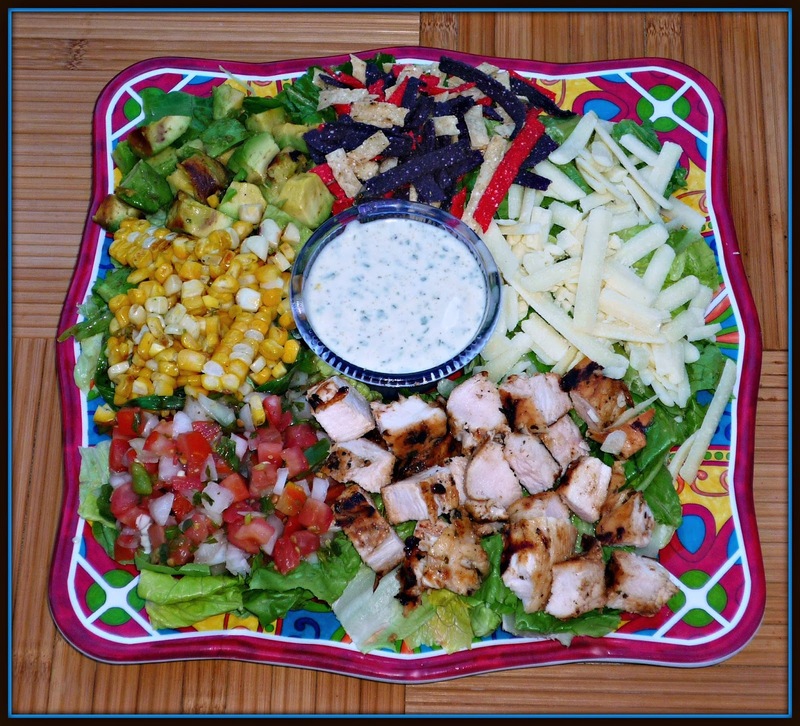 This flavorful salad features several grilled components: chicken breast, corn, green onion, and avocado. Searing provides better flavor and caramelization – which means my salad was bursting with fabulous flavor, color, and texture! 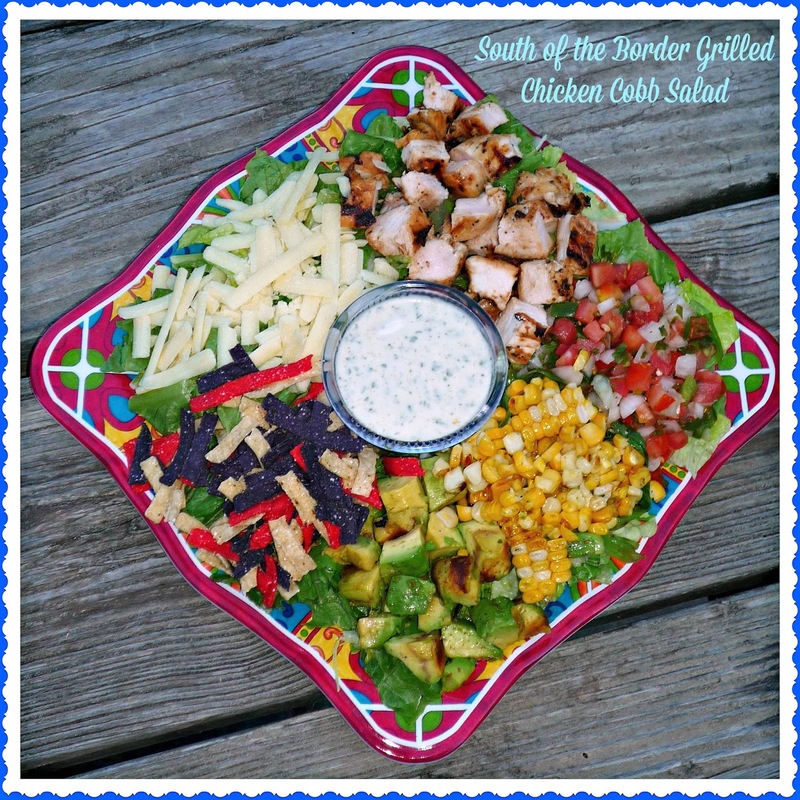 Let me show you just how easy it was to use this versatile indoor grill to whip up my South of the Border Grilled Chicken Cobb Salad in about 30 minutes. 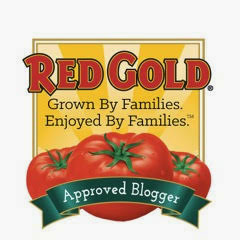 Eating healthy was never so easy – or full of flavor! This salad contains all of my favorite spicy Tex-Mex flavors in a healthy Cobb-style salad. 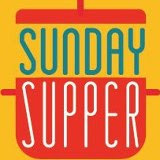 It’s perfect for dinner on warm Summer evenings. Step 1: Combine the lime juice, honey, olive oil, cumin, cilantro, and olive oil in a small bowl. Whisk to combine into a marinade. Add the chicken and submerge in the marinade. Cover with plastic wrap and marinate for at least 2 hours – up to overnight. Step 2: When ready to grill the chicken, preheat the Hamilton Beach Indoor Searing Grill on the Sear setting for 5 minutes. Brush the avocado, corn, and green onion with olive oil. When the grill’s green light indicates it is pre-heated, lower the temperature to 350. 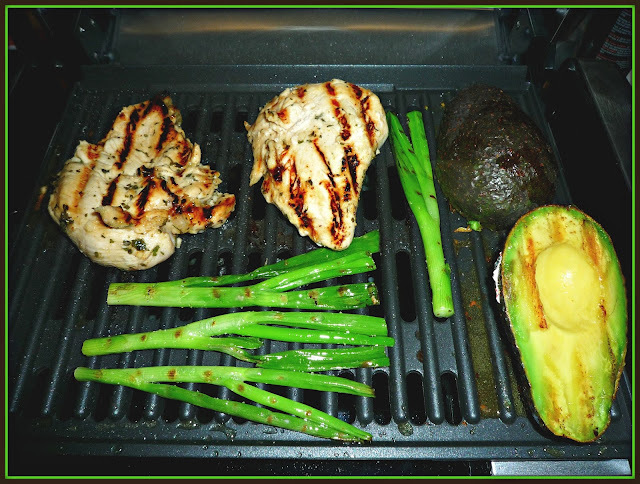 Add the chicken, avocado, and green onions to the grill. Cook until the green onion and avocados are seared – approx. 7 minutes – turning the green onions once halfway through cooking. Remove the green onion and avocado and set aside. Flip the chicken breasts and cook for an additional 7 minutes, until cooked through. Set the chicken aside to rest on a cutting board. Step 3: Turn the grill temperature back up to Sear and add the oiled ears of corn to the grill. Cook for approx. 10-15 minutes, turning occasionally to brown evenly. While the corn grills, make the salad dressing. 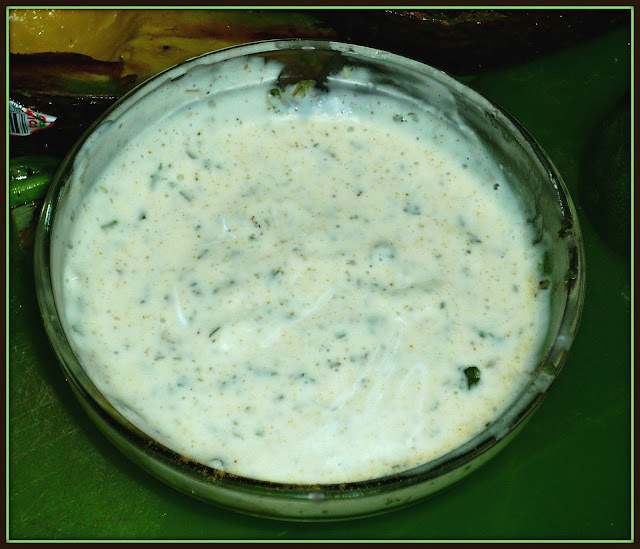 Add the prepared ranch dressing, lime juice, cilantro, and cumin to a small bowl. Whisk well to combine. 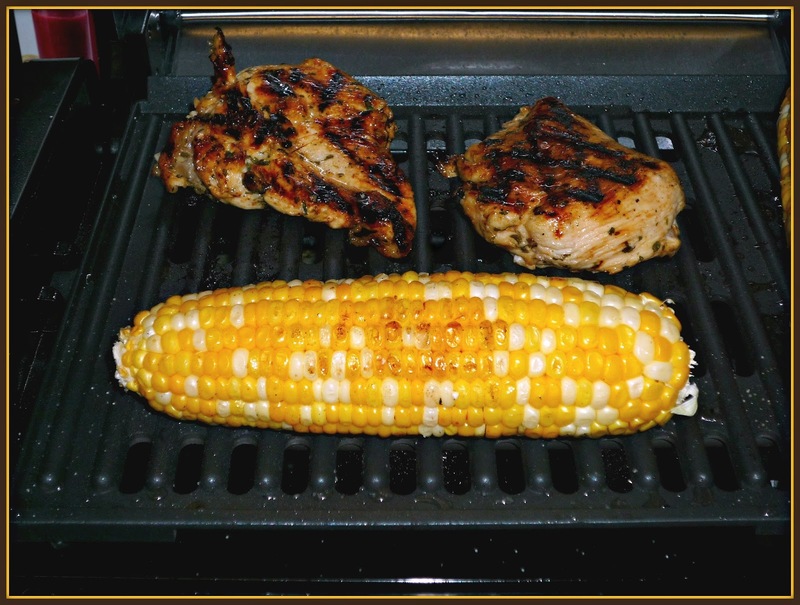 Step 4: When the corn is grilled evenly on all sides, remove from the grill. Use a sharp knife to remove the kernels from each ear. Cut the chicken breasts into chunks. Finally, remove the avocados from their peels and dice into bite-size pieces. Assemble the salad. 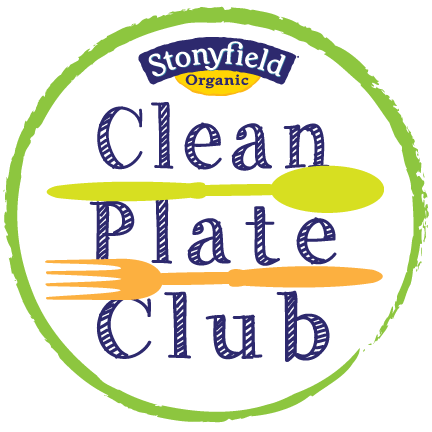 Place a base of hearts of romaine on a large serving plate. 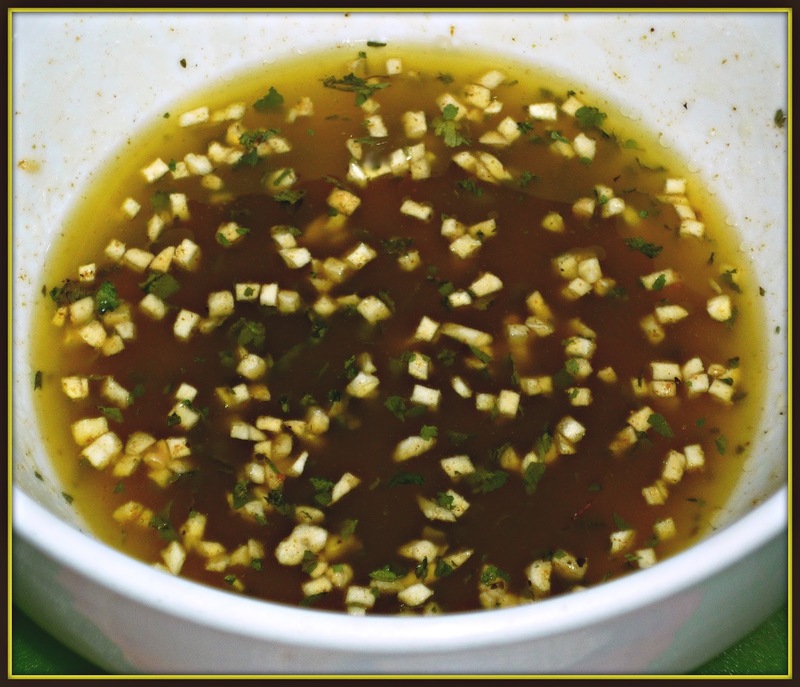 Place a small bowl of dressing in the center. Arrange the chicken, avocado, corn, pico de gallo, green onions, cheddar, and tortilla strips on top of the lettuce around the bowl of dressing. 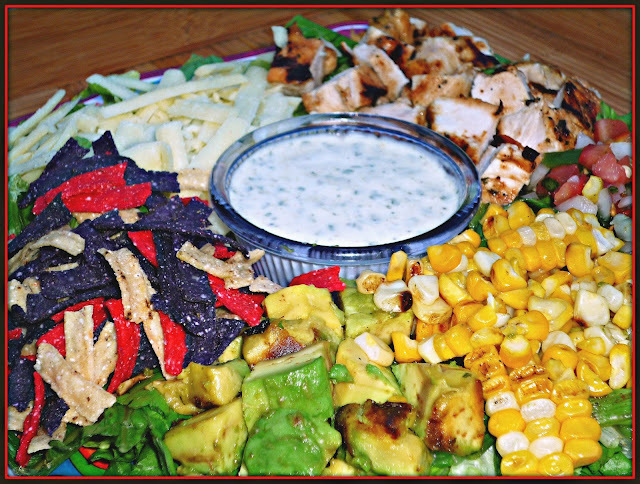 Bring the platter to the table, pour the dressing on top, and toss to serve. This main dish salad is light, but perfectly filling! I love the combination of honey-lime chicken breast, crunchy tortilla chips, sharp cheddar, diced grilled avocado, earthy grilled corn, spicy pico de gallo, and cilantro-lime ranch dressing. Every bit contains a different combination of flavors and textures that work perfectly together. If you like your Mexican food even spicier, feel free to grill a couple of jalapenos to the grill to! Seed, dice, and add to the grilled corn before using it to top the salad. I especially loved the ease of using this grill – and cleanup was truly a breeze! The Hamilton Beach Indoor Searing Grill can easily be purchased online via Amazon. 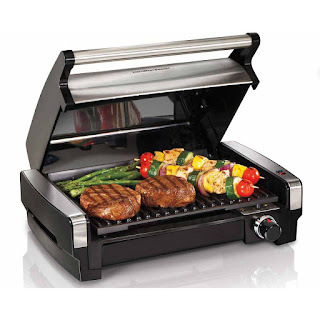 So...who wants to win one of these amazing indoor grills to use all Summer long? 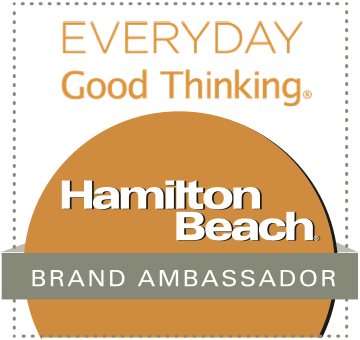 My friends at Hamilton Beach are going to give one lucky reader of The Weekend Gourmet one of their Indoor Searing Grills to enjoy in your kitchen! To enter, simply follow the instructions on the Rafflecopter below. I will accept entries until midnight CST this Sunday, June 4th. The winner will be notified via e-mail on June 4th and will have 48 hours to respond. Entries will be accepted by any reader living in the continental United States. Good luck! Disclosure: Hamilton Beach provided me with an Indoor Searing Grill to facilitate this post. All opinions expressed are solely my own.